One of the many remarkable features of the Snap-It system is that it is infinitely adjustable. These half and full cut-offs (full blast gates) have aluminum cast housing, galvanized blades, and rolled ends that fit all system components. 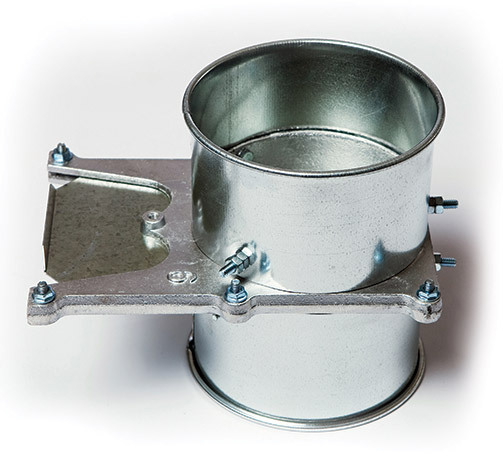 Half cut-off has an unfinished end to insert directly into the duct.